Calendar of Italian American Events in Washington DC | Ciao Washington! November 23, 2019. Lido Civic Club Past Presidents Night Gala at Bethesda Country Club, Md. November 1-2, 2019. NIAF Annual meeting and Gala in Washington, D.C.
October 19, 2019. Annual Pro-Ecclesia Sacratissimi Rosarii Gala honoring members of the Holy Rosary Church community at Casa Italiana Sociocultural Center. Contact 202-638-0165. October 14, 2019. Columbus Day wreath laying ceremony at the Columbus Memorial, across from the Union Station, sponsored by the National Christopher Columbus Association. October 13, 2019. Columbus Day memorial mass at Holy Rosary Church followed with a reception at Casa Italiana hosted by the Lido Civic Club. May 23, 2019. Italian Cultural Society Gala at the Embassy of Italy. May 20, 2019 . Italian American Golf Tournament hosted by the Lido Civic Club at the Manor Country Club, Bethesda, MD..
January 10, 2019. Epiphany Celebration honoring Three Wise Women sponsored by the National Organization of American women, Greater Washington D.C. Region. November 10, 2018. Lido Civic Club Past Presidents Night Gala at Bethesda Country Club, Md. November 4, 2018. Memorial Mass for the “Caduti in Guerra” at Holy Rosary Church at 10:30 am. October 20, 2018. Annual Pro-Ecclesia Sacratissimi Rosarii Gala honoring members of the Holy Rosary Church community at Casa Italiana Sociocultural Center. Contact Lucia at 202-638-0165. October 12-13, 2018. NIAF Annual meeting and Gala in Washington, D.C.
October 8, 2018. Columbus Day wreath laying ceremony at the Columbus Memorial, across from the Union Station, sponsored by the National Christopher Columbus Association. October 7, 2018. Columbus Day memorial mass and ceremony at Holy Rosary Church followed with a reception at Casa Italiana hosted by the Lido civic Club. September 29, 2018. Italian musicians Trio Dante perform at Casa Italiana Sociocultural Center. Click here for more info. July 15, 2018. Cineforum at Casa Italiana, showing “Every Blessed Day (Tutti Santi Giorni)”: Guido and Antonia are a young couple with opposing characters and working schedules: he works nights and she works days. This is the story of what happens when they decide to have a child. Italian language (with English subtitles). At 6:00 pm. June 10, 2018. Prof. Thomas Guglielmo of George Washington University talks about Italian immigration at the Abruzzo and Molise Heritage Society meeting at Casa Italiana. June 3, 2018. Cineforum at Casa Italiana, showing comedy, “God Willing (Se Dio Vuole),” about an arrogant cardiac surgeon whose son decides to leave his medical school education to become a priest. Italian language (with English subtitles). At 6:00 pm. May 23, 2018. Italian Cultural Society Annual Awards Dinner at Italian Embassy. May 21, 2018. Annual Italian American Open golf tournament hosted by the Lido Civic Club benefiting the the Lido Scholarship Fund and the Casa Italiana Language School. May 20, 2018. The Giovanni Falcone Memorial Mass at Holy Rosary Church with reception following at Casa Italiana hosted by local Italian-American organizations. Guest speaker, Judge Romina Incutti, the legal attache’ at the Italian Embassy. April 28, 2018. Extraordinary musician and performer Paolo Schianchi performs at Casa Italiana at 7:30 pm. March 25, 2018. Washington Winemakers’s Annual Tasting at Casa Italiana Sociocultural Center. Time: 1:15pm-4:15pm Cost: $10 adults and $5 for seniors (you will receive a complimentary wine glass). Pay at the door, no tickets or advanced RSVP required. March 15, 2018. Washington Winemakers Annual Tasting party at Casa Italian Sociocultural Center at 1:15 pm. March 11, 2018. Cineforum Italiano: A Fairy-Tale Wedding (un Matrimonio di Favola) at Casa Italian Sociocultural Center at 6:00 pm. March 10, 1018. In honor of International Women’s Day, Le D.I.V.E., a Washington DC non-profit association founded by Italian women who live abroad, hold at the Italian Embassy, a benefit Gala to raise awareness and funds to prevent domestic violence. March 4, 2018. 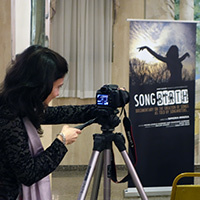 Concert “Songs in my Suitcase” at Casa Italiana Sociocultural Center. Contact Lucia at 202-638-0165. February 10, 2018. “Dreams of Italy” Carnevale Party at Casa Italiana Sociocultural Center, 6:00-10:00 pm. Contact Mariangela DiPietri for additional info at 443-607-6290. February 7, 2018. Dr. Mario R.Capecchi, 2007 Nobel Laureate in Medicine, speaks at the Intercultural Center Auditorium, Georgetown University. Sponsored by the Italian Research Institute. Click here for more info. January 29, 2018. The Lost Music of the Holocaust, on the occasion of the International Holocaust Remembrance Day 2018, at the Embassy of Italy. Registration required. January 13, 2018. Recitiamo … una poesia? Spettacolo interattivo in italiano per bambini di tutte le eta’. A cura di Vivian Allvin, i collaborazione con Casa Italiana Ente Gestore. January 12, 2018. Europa Galante – Concert at The Library of Congress. January 11, 2018. The Greater Washington, D.C. Region of the National Organization of Italian American Women to honor three wise women. Contact NOIAW at 212-642-2003. January 7, 2018. La Befana arrives at Casa Italiana Sociocultural Center at about 1:00 pm. La Befana will be bringing gifts to the children. December 31, 2017. Holy Rosary Church’s New Year’s Eve Party. Contact 202-638-0165. November 18, 2017. Lido Civic Club Past Presidents Night gala at Bethesda Country Club, Md. November 12, 2017. Fr. Caesar Donanzan Breakfast at Casa Italiana Sociocultural Center. November 5, 2017. Messa per i Caduti in Guerra at Holy Rosary Church. Reception at Casa Italiana Sociocultural Center. October 14, 2017. Third Annual Pro Ecclesia Sacratissimi Rosarii Award dinner gala at Casa Italiana Sociocultural Center. Honoring Maria Marigliano and Don Ricciardella. To buy tickets click here. October 9, 2017. National Columbus Day Ceremony at the Christopher Columbus Memorial across from Union Station sponsored by the National Christopher Columbus Association. October 8, 2017. Tribute to Christopher Columbus at Holy Rosary Church with a reception at Casa Italiana Sociocultural Center. October 1, 2017. 10:00 a.m. Our Lady of the Rosary of Pompei Feast: Supplica and Procession. September 24, 2017. Altar Society Bake Sale at Holy Rosary Church. September 14, 2017. Lido Civic Club Congressional Night on Capitol Hill. Honoring Anna Isgro and Francesco Isgro for their contributions to the Italian American community. August 13, 2017. Annual Ferragosto Picnic sponsored by AMHS at Fort Ward Park, Alexandria, VA, from 3:00 to 7:00 pm. August 6, 2017. Cineforum at Casa Italiana Sociocultural Center at 6:00 pm.. Showing the romantic comedy, The Fifth Wheel (L’ultima ruota del carro). This story takes a journey through pivotal events in four decades of recent Italian history, as seen through the lens of Ernesto. Played with charm and a disarming sense of humor by Elio Germano, Ernesto is a good-hearted, honest middle-class guy who struggles to keep up with changes and is always a step behind. July 23, 2017. AMHS General Society Meeting, 1:00 pm at Casa Italiana. July 9, 2017. Cineforum at Casa Italiana at 6:00 pm. The film will be the comedy, I Can Quit Whenever I Want (Smetto quando voglio). Pietro Zinni (Eduoard Leo), a brilliant neuro-biologist, loses his job at the university because of the economic crisis. Without any reasonable chance to find another contract, Pietro is forced by the situation to put together an unlikely criminal gang of money-less nerdy ex university’s researchers like him (a chemist, a cultural anthropologist, an economist, an archaeologist and a couple of Latinist) to create a special smart drug, still unknown and not illegal by Italian law. June 15, 2017. Lido Civic Club Sixth Annual Scholarship Awards reception at the Italian Embassy. June 11, 2017. Cineforum at Casa Italiana. The film will be the drama Terraferma­ (Dry Land), by award winning director Emanuele Crialese. This excellent film explores the reaction of a Sicilian family after a group of immigrants arrive on their island. The story is about a crisis of conscience for Filippo (Filippo Pucillo), who lives on an island where fishermen are punished for saving illegal immigrants from the sea because it amounts to facilitating illegal immigration. This film was selected as the Italian entry for the Best Foreign Language Film at the 84th Academy Awards. June 4, 2017. Festa della Repubblica mass at Holy Rosary Church. May 22, 2017. Italian American Open golf tournament hosted by the Lido Civic Club to benefit Casa Italiana Sociocultural Center and the Lido scholarship program. May 21, 2017. Movie at Italiana Sociocultural Center. Showing Mia Madre at 6:00 p.m.
May 21, 2017. Memorial Mass for Giovanni Falcone at Holy Rosary Church 10:30 a.m.
May 21, 2017. AMHS luncheon and meeting featuring author and member an cook books author Domenica Marchetti. Carmine’s Restaurant at 1:00 p.m.
May 19, 2017. Italian Cultural Society Gala at the Italian Embassy. May 18, 2017. Lido Civic Club monthly meeting at Alfio’s Restaurant in Bethesda. April 30, 2017. Confirmation at the 12:00 Mass at Holy Rosary Church. April 23, 2017. First Holy Communion at the 10:30 Mass at Holy Rosary Church. April 23, 2017. Italian Cultural Society Social Meeting. April 20, 2017. Lido Civic Club monthly meeting at Pulcinella Restaurant in McLean, VA.
April 9, 2017. Movie at Casa Italiana Sociocultural Center. Showing the romantic-comedy, Remember Me? (Ti ricordi di me?) at 6:00 pm. April 7, 2017. Arts and Ideas in a Global Society – American Academy in Rome, a lecture by Mark Robbins, president of the American Academy in Rome at the Italian Cultural Institute @ Italian Embassy. Reservation required. April 4, 2017. Movie at the Italian Cultural Institute @ Italian Embassy: L’Intrepido (A Lonely hero). Reservation required. April 3, 2017. Lecture at at the Italian Cultural Institute @ Italian Embassy. Sculpting with Color in Renaissance Florence: the Della Robbia Exhibition at the National Gallery of Art, Reservation required. Lecture by Alison Luchs, curator of early European sculpture at the National Gallery of Art. April 2, 2017. Washington Winemakers Annual Festival of Wine and Fellowship at Casa Italiana Sociocultural Center, 1:00- 4:00 pm. April 1, 2017. Easter Sunday Masses at Holy Rosary Church : 9 am (English) , 10:30 am Italian), 12 noon (English). November 19, 2016. Lido Civic Club Past Presidents’ Night at the Capital Hilton. October 1, 2016. Annual Pro Ecclesia Sacratissimi Award gala at Casa Italiana. May 26, 2016. OSIA 28th Annual National Education & Leadership Awards Gala, honoring among others, Dr. Condoleezza Rice, 66th Secretary of State. May 23, 2016. Lido Civic Club Italian-American Open golf tournament at Manor Country Club in Rockville, Md. Benefits Lido scholarships and Casa Italiana Sociocultural Center. April 24, 2016. 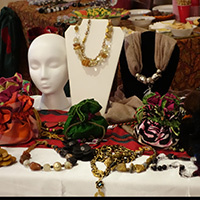 The 55th Annual Lasagna Dinner and Spring Bazaar at Casa Italiana. April 18, 2016. “Protecting our Heritage: a Musical Tribute.” A free concert by the famous Italian Carabinieri Band at the Kennedy Center. At 6:00 pm. April 3, 2016. “Festa della Vendemmia” the annual wine tasting event hosted by the Washington Winemakers at Casa Italiana from 1:00 pm to 4:00 pm. Admission $10, seniors $5 and you get to keep the glass! All are welcome! February 6, 2016. Carnevale 2016, hosted by Lucchesi nel Mondo and AMHS at Casa Italiana from 6:00 p.m. to 10:00 p.m. in Casa Italiana. This year’s theme is Costumi di Carnevale, or costumes from Carnivals in Italy and throughout the world. Contact Tricia Maltagliati at 301 449-7230. Ph.D., who will talk about the many ways that the geology of Italy has affected its history. Contact Lynn Sorbara, 301-926-7792. Italian American women at its annual Epiphany Celebration: Lt. Gen. Gina M. Grosso of the United States Air Force; Lisa O. Monaco, Assistant to President Obama for Homeland Security and Counterterrorism; and Prof. Gemma Puglisi of American University. For more information contact NOIAW at 212-642-2003. December 5-6, 2015. Le Dive Christmas Fair at Casa Italiana.